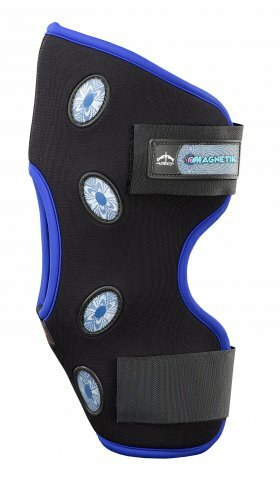 Theraputic hock boots containing 16 neodymium magnets. Reduces inflammation & pain. Stimulates blood circulation and helps eliminate toxins. Made from breathable 'Aerox' material, lined & trimmed with lycra, helping keep your horse's legs at a healthy temperature and helps prevent overheating of the joints.